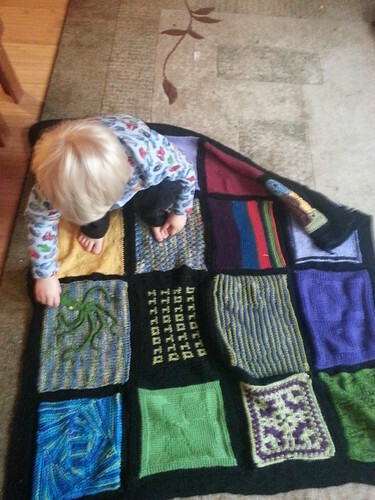 Owen checks out his birthday afghan – Naming a blog is harder than naming a kid. Owen checks out his birthday afghan, a photo by marymactavish on Flickr. We are pretty good parents.